Taco Boy has convenient locations in Downtown Charleston and Folly Beach. Overall, they offer 14 different types of tacos including favorites like baja fish, sauteed shrimp, and carne asada. Some of most unique taco options are the kimchi beef and tempura avocado. For every tempura avocado taco purchased, Taco Boy donates one dollar to The Green Heart Project. 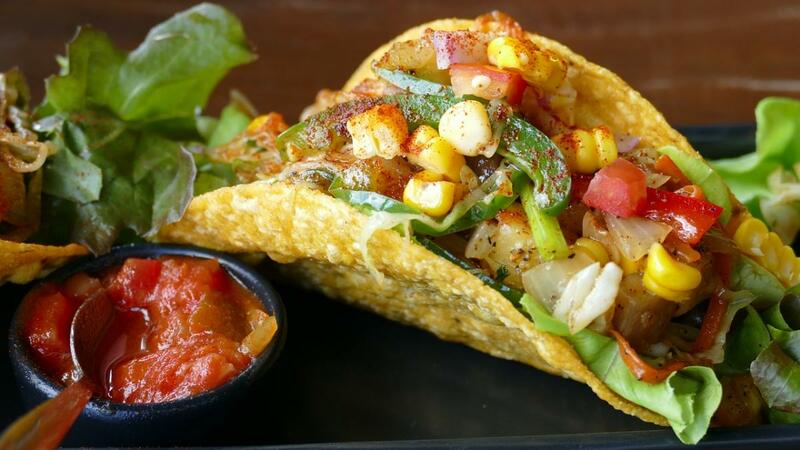 Mex 1 Coastal Cantina draws rave reviews for their variety of seafood tacos. Some of the most popular menu items are the bangin' shrimp, grilled mahi, and baja fish tacos in addition to more traditional chicken and steak options. Vegetarians are not left out of the mix with the shroomer taco that features sauteed mushrooms, black beans, cilantro onion relish, crisp red peppers, and queso fresco. Diners flock to Mex 1 for their unlimited chips and unique tequila drinks as well. Torres Suprette sits unassumingly in the back of a convenience store, but they offer up some of Charleston's best tacos. The regularly have great specials but are known for their carnitas with corn tortilla tacos. Their soft shell carnitas or carne asada tacos are $2.25 each or three for $6.29. Torres Suprette also has hard shell chicken and beef tacos that are $2.00 each or three for $5.59. Santi's Ristorante Mexicano boasts that they have the most authentic Mexican cuisine in Charleston, and they may be right. They offer the taco lunch special and taco dinner that each come with beans and rice. Customers can also purchase hard or soft shell a la carte tacos for $3.00 apiece. Filling options at Santi's include beef, chicken, pork, and steak. Minero was named after the Mexican silver miners that many believe are the original inventors of the taco. The restaurant takes this old-world creation and fuses it with local Charleston flavors. Their taco menu is highlighted by special combinations like the fried catfish tacos with pickled green tomato tartar, taco al pastor, and roasted shrimp tacos. They also have a daily lunch taco combo plate that features two tacos with refried beans, Carolina gold rice, and broccoli salad. No matter where you go to Charleston, you are bound to be treated to tasty taco creations. Try them out for Cinco de Mayo, Taco Tuesday, or any other day of the year! Register on 843area to keep up with the latest news on restaurant in Charleston. It's free, and you'll find out about upcoming Charleston events, things to do in Charleston, and more.